Follow your own nutrition wisdom and eat like your kids do (or how they should). You'll get healthier, feel better, and may lose weight! 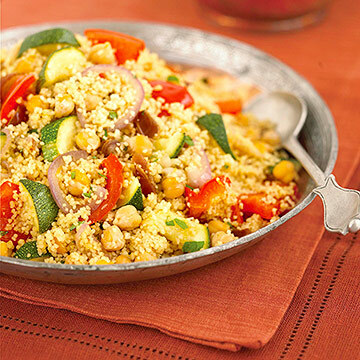 You try your hardest to get a veggie on the table every night—and then to have your kids take at least a few bites. Yet most children are still falling short of what they need. In fact, children ages 6 to 11 consume less than a cup a day of vegetables (older kids get slightly more). Parents aren't doing much better. A recent government report says that only 25 percent of adults get their recommended five daily servings (that's about 2 1/2 cups). The benefits of fruits and veggies are substantial. Not only are they loaded with vitamins and minerals, but they also have a high fiber content that fills you up, which is helpful when you're trying to eat less and lose weight. Furthermore, according to the American Institute for Cancer Research, fruits and vegetables may help reduce your chances of developing cancer. 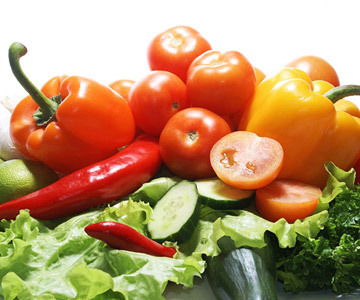 That's because a diet rich in fresh produce can reduce excess body fat, a known risk factor for many kinds of cancer. In addition, a new study published in the journal Circulation reveals that kids and adults who eat more vegetables are less likely to develop hardened arteries (stiff arteries burden the heart and can lead to cardiovascular disease in the future). To get your 2 1/2 cups a day, squeeze a vegetable in at lunch (like extra lettuce and tomato on your sandwich or a cup of vegetable soup) or double-up at dinner by serving both a cooked veggie and a green salad. And hard as it may be, stay the course with finicky kids. "Sometimes children need to be exposed to foods many, many times before they'll try them," says Heidi McIndoo, RD, author of When to Eat What (Adams Media). Try to add a kid-friendly spin, such as a bit of melted cheese on cauliflower or a drizzle of maple syrup on cooked carrots. Luckily most kids happily slurp the milk from their cereal bowl and gulp down a glass with meals. 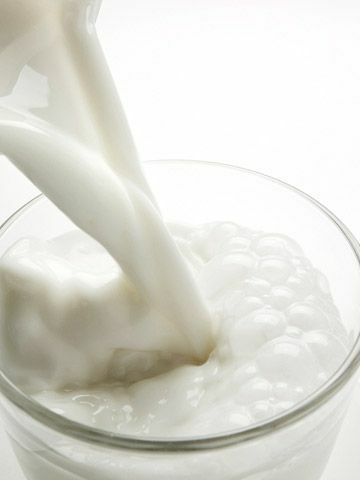 Childhood is prime bone-building time, and the calcium in milk helps develop better bone mineral density. When it comes to adults, calcium is still crucial for keeping a strong skeleton as you age and preventing potentially debilitating fractures. Until age 50, you need 1,000mg per day—that's about three servings of milk, yogurt, or cheese. Then your needs jump by nearly another serving, thanks to hormone changes that can trigger bone loss. If you nixed milk somewhere along the way in favor of diet soda to save calories, consider this: A study published in the journal Obesity found that diet soda drinkers have significantly higher BMIs, possibly because soda's sweetness sparks cravings for sugary foods. On the flip side, research shows that consuming calcium-rich foods and beverages while dieting actually increases the loss of belly fat (the dreaded "muffin top" that boosts your risk of heart disease), says Connie Weaver, PhD, a professor of foods and nutrition at Purdue University in West Lafayette, Indiana. Your kids have been asleep for hours—but you're camped out on the couch with Dancing with the Stars and a big bowl of ice cream. "A lot of women use evening eating as a reward or escape from a long day," says Cynthia Sass, RD, author of Cinch! Conquer Cravings, Drop Pounds, and Lose Inches (HarperOne). "But it only feels good in the moment." Those extra scoops won't seem so great when you can't zip your jeans, so create an after-hours plan. Sass tells clients to find activities that offer that same feeling of relaxation (but don't involve eating)—like scrapbooking while listening to music or taking a long bath. If you can't miss your favorite shows, find something to keep your hands busy while tuning in, such as sorting through the day's mail. 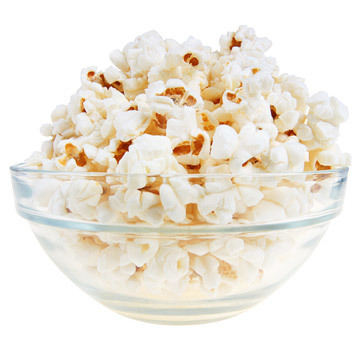 Or pre-plan your evening snacks, like 3 cups of low-fat microwave popcorn with a sprinkle of Parmesan cheese or a cup of frozen raspberries with a dollop of fat-free whipped cream. After you've finished your healthy snack, brush, floss, and rinse with mouthwash. Then turn the kitchen lights off to signal the kitchen is "closed" until tomorrow. This is where everyone could use some work. No matter how hard you try to keep a cap on sugar, you and your children probably still get too much. Thanks mostly to soda, fruit drinks, and desserts, the average tween takes in about 24 teaspoons of added sugar a day (the kind added to foods by manufacturers, not the natural kind found in fruit or milk). Teens get nearly 28. Even adults gobble up 22 teaspoons of it. That's 335 calories' worth of sugar every day! 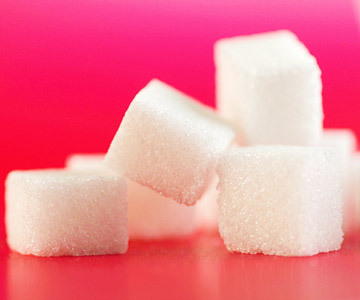 Trouble is, a high-sugar diet can mean much more than obesity. According to a recent scientific statement by the American Heart Association, it may also be linked to high blood pressure, elevated triglyceride levels, and inflammation—all of which raise your risk for heart disease. The expert prescription: no more than 6 teaspoons a day of added sugar (that's about 100 calories' worth) for women. But don't waste those precious sugar calories on frozen mochas or mediocre office birthday cake. Instead, save them for something you love, and time your sweet treat (like a low-cal ice cream sandwich) for after a meal, not when you're famished. "Sweets eaten when your stomach is full are absorbed at a slower rate," explains McIndoo. "So you won't get that rapid rise and big drop in blood sugar that can make you crave even more sugar." You ask your kids to pull a chair up to the table because you know they'll have a healthier meal if they sit and focus on their food. But as a mom, you've probably had your fair share of lunches standing over the sink, while checking e-mail on your phone and emptying the dishwasher. Mealtime multitasking might seem like a smart time-saver, but when you eat while distracted you don't notice you're full as quickly—so you end up overeating. An hour later you even may have forgotten that you've had anything at all! "You can't taste your food when you're distracted," says Sass. In a recent study from the University of Utah, researchers concluded that eating as a "secondary" activity—while something else has your primary attention—has increased significantly over the past 30 years and may be linked to the current obesity epidemic. For all meals and snacks, vow to always have them sitting down, and only in the kitchen or dining room. Even if you take just 5 or 10 minutes to concentrate on your food, you'll likely enjoy it more and be able to respond more quickly to feelings of fullness. 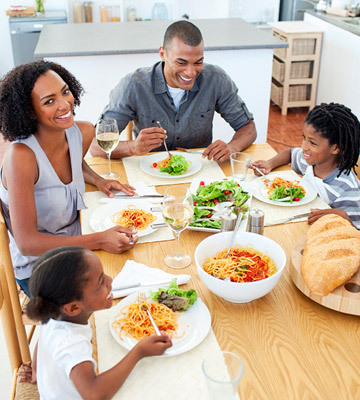 You want your kids to be hungry at mealtime so they'll consume more of the healthy food you've prepared. Meanwhile, you nibble a meal's worth of food while you're cooking—then sit down to a full dinner. Sound familiar? "The average bite is about 25 calories," says Elizabeth Somer, RD, author of Eat Your Way to Happiness (Harlequin). "So just four extra bites a day can add up to an extra pound every month." Take the edge off with a healthy snack—such as an ounce of walnuts with a few dried apricots—about an hour before dinner preparation begins. When you're cooking, chew gum or sip sparkling water. 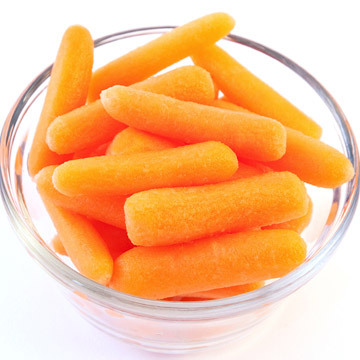 Or put a bowl of baby carrots and sugar snap peas on the counter to crunch. And if your kids happen to snag a few too, all the better.